If I had to choose my favorite season of the year, it'd be Spring, when the beauty of the cherry blossoms and green nature is spread out in the Old Capital of Kyoto. Everybody in the city looks somehow so calm and happy under the cherry trees. Autumn is also a dramatic and attractive season without a doubt. Colorful leaves (a.k.a. Koyo) are to the Japanese autumn what cherry blossoms are to spring. People keep visiting Kyoto in these seasons to see its beautiful "color". So, for most people who eager to take fabulous pictures of Kyoto at its best, it could not be wrong that June, when you have to cope with clammy rain and humidity, is not the best month to visit Kyoto. I do not disagree with this. However, having lived in this beautiful city for five years, I've come to believe that Kyoto shows another side of its character at this time of the year. While tourists from afar come to Kyoto in droves in late November to see their scarlet fall color, I find the young green leaves such as Momiji (Japanese maple) leaves in June even more beautiful. Also, not many visitors know that the end of May and throughout June is firefly season in Japan. 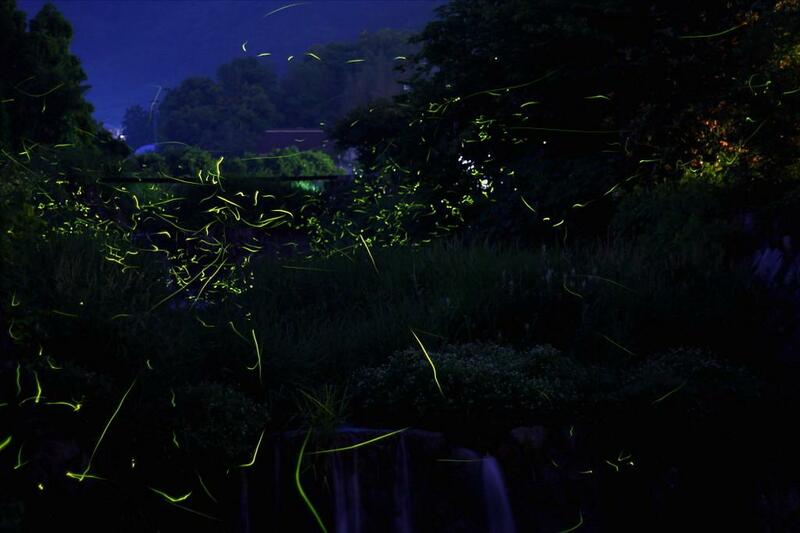 Firefly viewing is a time-honored tradition and one of the features of Japanese summers. It definitely is difficult to see wild fireflies in the city center, but if you visit north part of Kyoto or mountain-side areas with fresh air and clear streams, it is possible to spot many different varieties of fireflies. Rainy season (a.k.a. Tsuyu) in Kyoto is such an exotic and lyrical time, isn't it ? 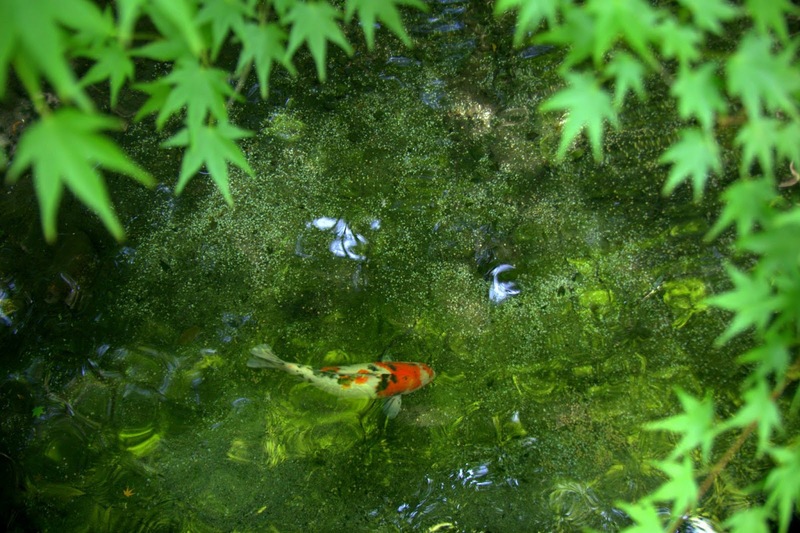 If you get a rainy day while you are in Kyoto, don't hesitate to go out and visit one of the gardens. 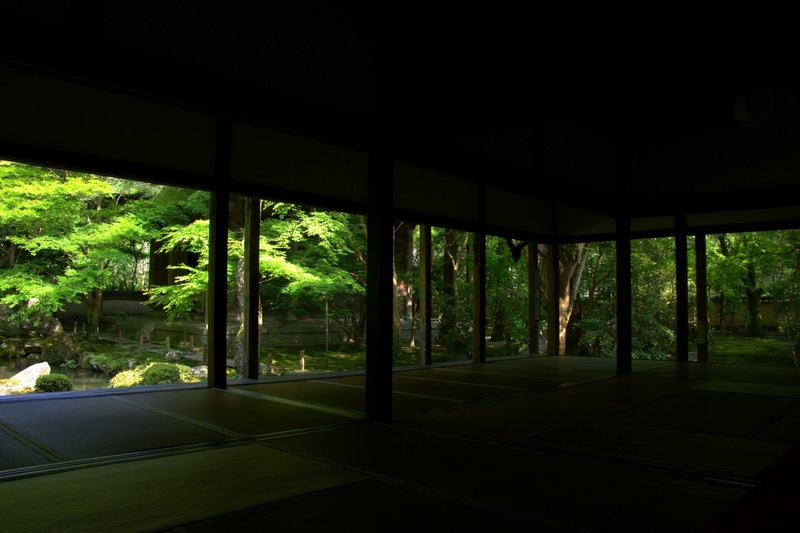 Flowers and moss will be glistening and being in a serene Japanese garden and listening to the sound of rain would be an absolutely special experience in Kyoto.